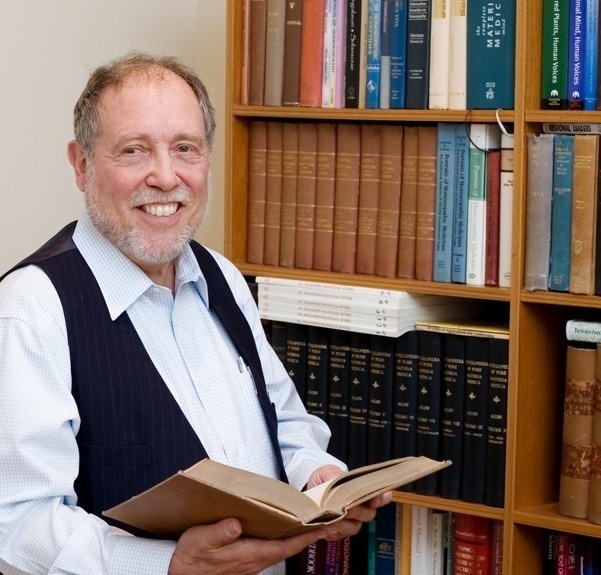 Dr. Richard Moskowitz has been practicing medicine for 45 years. He states: "For the past ten years or so, I have felt a deep and growing compunction against giving routine vaccinations to children. It began with the fundamental belief that people have the right to make that choice for themselves. But eventually the day came when I could no longer bring myself to give the shots, even when the parents wished me to. I want to present the case against routine immunization as clearly and forcefully as I can." I like your attitude. Indeed homeopathy seems weird at a first glimpse. However, when you experience the effects on yourself, when you see it work on your family members and when you start to digest the vast amount of knowledge that makes the homeopathic philosophy, everything starts to make sense, everything becomes so simple and you wonder how you were not aware of it previously. Fantastic article. It's amazing to see the difference in tone between an article like this and the kind of crap you see in the mainstream media about "anti-vaxxers". This article is in-depth, thoughtful, profound.........vs. a bunch of name-calling, ridicule, and claims that "the science is settled". Your children will not be protected in later life from these illnesses if they do not catch them. However, they wouldn't be even if they were vaccinated as vaccination "immunity" wanes. By adulthood most people are no longer immune to the diseases they were vaccinated for. Fabulous article, thankyou for all your detail and sharing your observations and findings/thoughts of many years of medical practice - it's wonderful to have Doctors sharing their stories and concerns with all of us who are interested and concerned about all this. Good to hear. I have very little personal experience with homeopathy. What I've read about its theory and methods seems to imply that it is almost supernatural/spiritual, which makes me wonder how cellular metabolism and cytokine communication are modulated via the extreme dilutions commonly used. It seems counterintuitive. This is *not* an attack, mind you. I'm open-mindedly curious about something that does not (yet) make sense to me. As a medical research journalist and radio host I am in contact with several doctors who have amazing results with homeopathic medicines and vaccine nosodes. I have 5 boys, now 21 to 32 and none were immunized. They were born at home so never had any drugs. They nursed until they weened themselves (2 to 4 years of age) and never had cow's milk products or meat until they were old enough to make those decisions. They all had measles when they were less than a month old with low-grade fever for 24 hours and a rash. Only one son got any other of the childhood diseases and that was chicken pox and whooping cough, although all of them were exposed to measles, chicken pox, whooping cough, etc., purposely. I also got a mild case of whooping cough,and I was immunized. I guess I should blame my children.They were healthy as children and now health adults. It was worth the fear imposed by friends and family and I am thankful I was strong enough to handle the onslaught of being the reason other children got sick who were immunized. We will just have to deal with these illnesses when they arrive later in life for our unvaxed kids. I will take that 'gamble' versus permanent immune altering/damage vaccines likely cause which is guaranteed once injected. Stay healthy and the body should be able to heal itself. I am pretty sure I 'got' shingles this past summer (I had chicken pox as a kid) and it was nothing more than a really itchy (little bit painful) 3 inch by 4 inch patch on one side of my back. It cleared in about 3 weeks and I did nothing for it. I have read it can be much worse but that is like 1% of cases. Yet, look at the dramatization of the ads on TV promoting the shingles vaccine. Not even close to reality. I suspect the same for our kids if they get these things as adults. Sure, some will have a tough time, but most will be better in short order. Does anyone know when this article was written and published? It is one of the best articles on this topic that I have ever read. I praise God for this doctor's research, integrity, bravery and transparency. I pray that more doctors will open their minds, do more research, and take a stand against this type of evil that is being perpetrated against mankind. Can you write on here what you learned and how you accomplished this. This article is the best antidote to forced vaccination. It had a deep impact on me since I became paralyzed twice after inoculation of diphtheria, tetanus and typhoid. The following antibiotic treatments led to life long problems with digestion. I now use dream incubation to know the causes of my ailments and potential consequences of any remedies. Mainstream medicine based only on the left brain is not the science it pretends to be. Thank you Dr Moskowitz for your courage to face the one size fits all system. Fantastic article, and very much in line with my views. To a nearly perfect article (one better than I could ever write) I would only add that while I am somewhat skeptical of claims of homeopathic medicine - only because there are few good studies backing reports of clinical efficacy - I have no such reservations about the effectiveness of megadose intravenous vitamin C in combating oxidant effects of infectious disease, particularly viral ones. Additionally, the necessity of avoiding sugar, fluoride (particularly ingested), and pesticides - which work synergistically with microbial waste toxins and vaccine ingredients to cause exponentially greater dysfunction in tissues, organs, and systems - cannot be overstated. A physician can only do so much to assist a patient who is actively feeding disease processes.
" If you do not make the unconscious conscious, it will dictate your life and you will call it fate. " Carl Gustav Jung. Somewhere down the years, basking in the pleasures of modern life, we have become too complacent ( or retarded whatever you like ) to open our eyes and question the seemingly unquestionable. Add to that the inane arrogance of human species - the conceit of improving upon Mother Nature or worse " conquering " Mother Nature. We have taken the " authority " of the Govt., Media and the powers to be as our destiny/fate. This attitude of delegating our responsibility to the other, makes us vulnerable for exploitation. That is precisely what is going on now. Thankfully there are torch bearers of truth like Dr.Maskowitz who are pointing us towards the road less traveled. People will have to awaken themselves or we will perish. There is no other option. Many thanks for the brilliant post. Great point. Another dangerous side of mass immunization and the madness to " eradicate " all microbes aka " trespassers " as assumed by this super species called " humans " is resulting in autoimmune disorders.Bring back the measles parties. I think that is the whole premise on which this post is written. I don't have the answer to your question but I fully understand the significance of it. this all makes great sense, but i have a question....if i don't vaccinate my kids against the measles and chicken pox (and i'm pretty sure i don't want to), and they do NOT catch these diseases while they are "school-aged children", which they most likely won't as there aren't many opportunities to catch them, then they won't develop a natural, life-long immunity, and so won't they be vulnerable as adolescents or adults, when these diseases are more dangerous for them? is there another way to protect them?